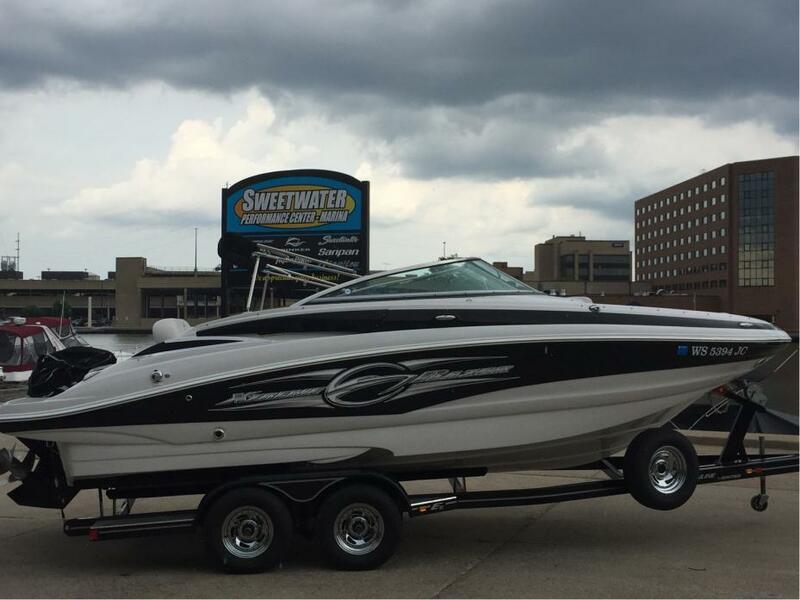 2017 Crownline Eclipse E2 Crownline went above and beyond with the design style of the Eclipse E2. 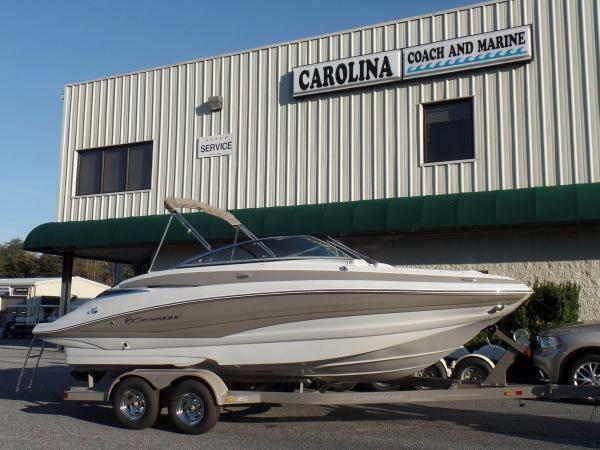 The stainless steel deck accents, get coat design and signature Crownline profile are just the start. Once you’ve stepped aboard the Crownline Eclipse E2, you’ll be greeted with a beautiful and comfortable interior. The aft convertible sun lounge is perfect for stretching out and relaxing, while the kids (and adults!) enjoy the swim platforms with soft touch mats. 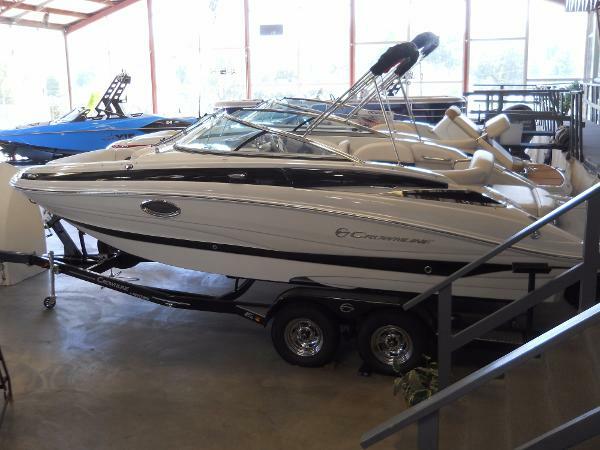 And, as always, Crownline allows you to customize the boat to meet the specific needs of your family and your boating lifestyle with plenty of option choices. 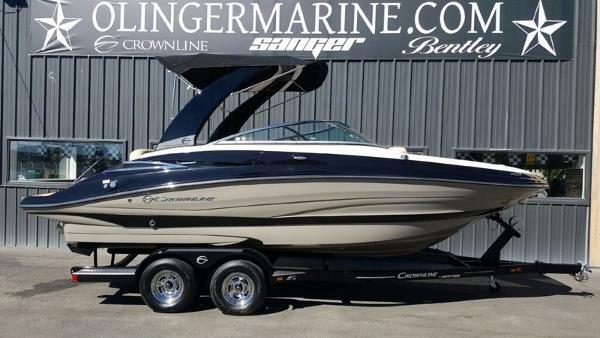 2016 Crownline Eclipse E2 Mercruiser 6.2 MAG Bravo III Catalyst 300HP Teak Mat for Rear Swim Platform (Exch for Moonrock Mat)(Included in Torino and Champagne Interiors)Highlander CarpetBow Flip Up Arm RestsSide Mount TableBimini TopBow CanvasCockpit CanvasLED Lighting - CockpitExtra Two Speakers (Total of 3 Pair)Hand Held Shower (Transom)Porta PottiLED LightsDepth Sounder w/Outside Air and Water Temperature Docking LightsDual Battery SwitchInverse Razor Crownline went above and beyond with the design style of the Eclipse E2. 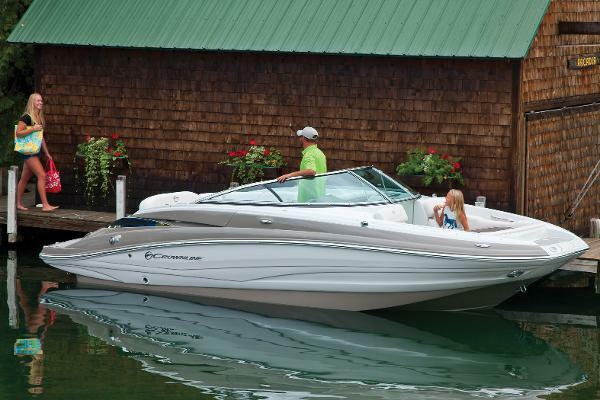 The stainless steel deck accents, get coat design and signature Crownline profile are just the start. Once you’ve stepped aboard the Crownline Eclipse E2, you’ll be greeted with a beautiful and comfortable interior. The aft convertible sun lounge is perfect for stretching out and relaxing, while the kids (and adults!) 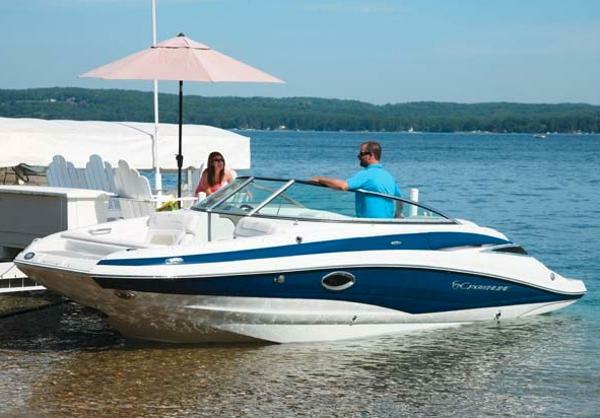 enjoy the swim platforms with soft touch mats. 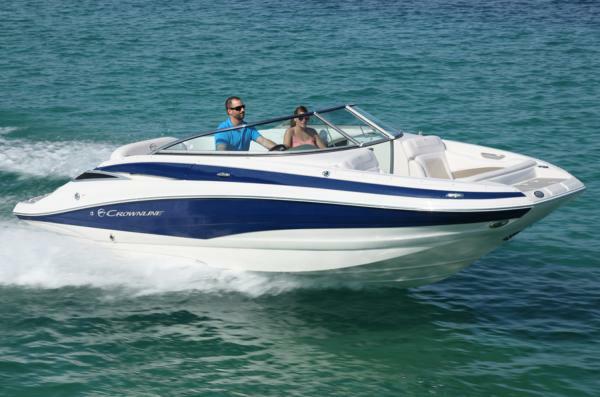 And, as always, Crownline allows you to customize the boat to meet the specific needs of your family and your boating lifestyle with plenty of option choices. 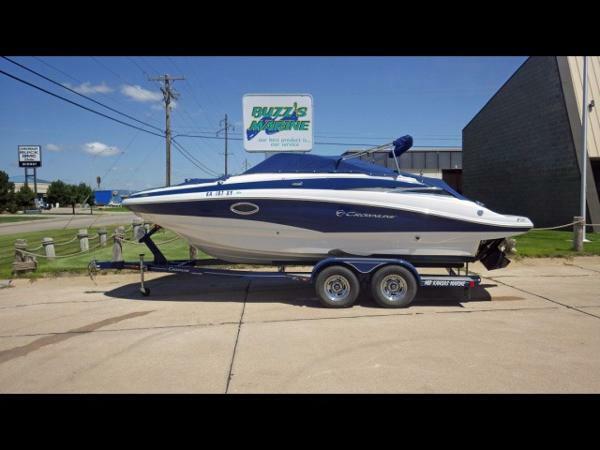 2012 Crownline Eclipse E2 Extremely nice an very well equipped 22ft. 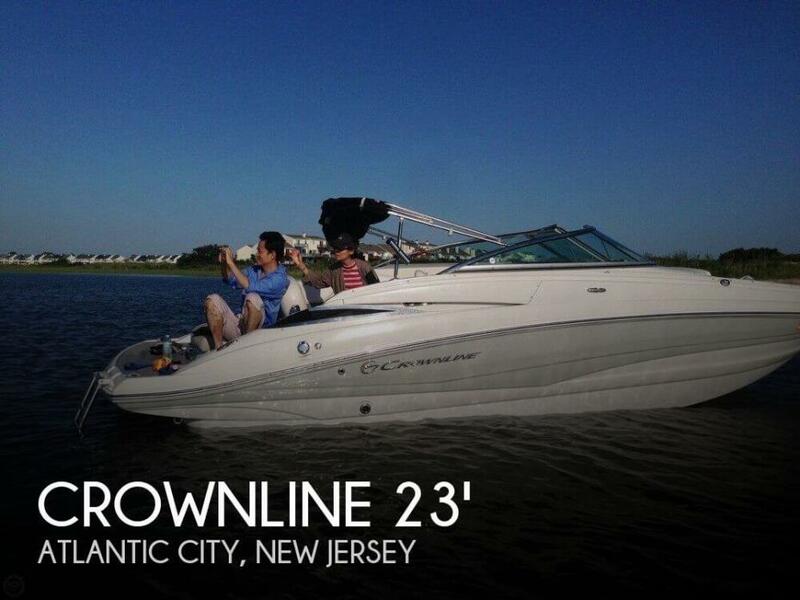 Crownline E2 open bow. 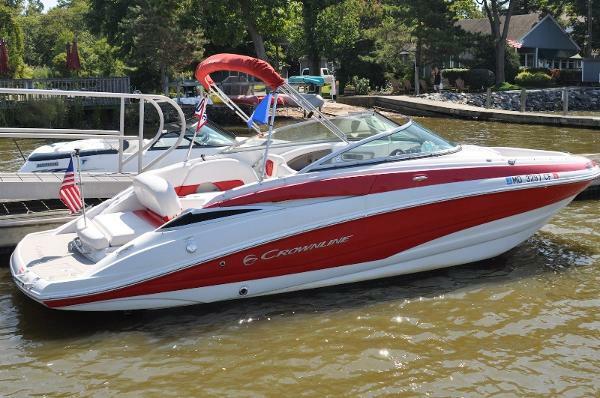 Powered with a Mercruiser 350 Mag and Bravo III drive with only 215 hours on the engine. 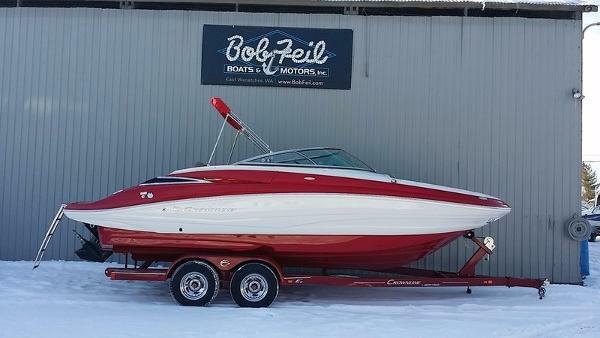 Equipped with Wakeboard Tower w/Bimini, Board Racks, Wetsounds Custom Stereo with (4) Canister Tower Speakers, (6) Cockpit Speakers and (3) Amps. Pump-out Head, Bow & Cockpit Covers, Flip-up Bolster Seats, Dual Battery w/Switch, LED Cockpit Lighting & Custom Tandem Trailer. 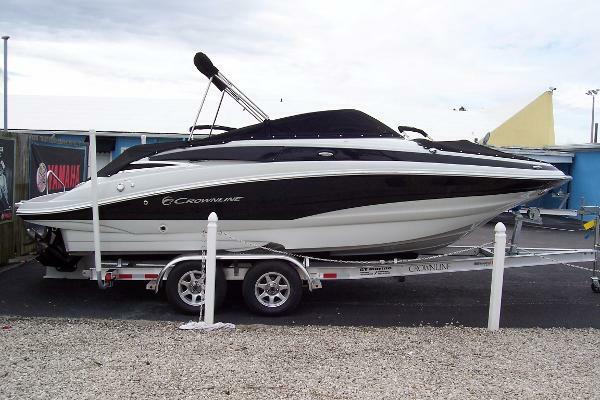 "VERY SHARP, BLACK & WHITE EXTERIOR W/SADDLE INTERIOR TRIM"
2013 Crownline Eclipse E 2, Very clean one owner local boat. 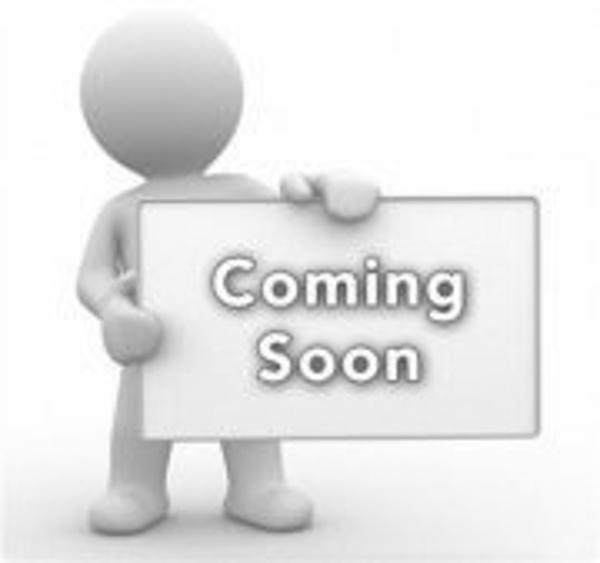 Loaded with options, custom trailer with matching spare at a great price!!!!!!!!!!!!! !